A colleague of mine got an email the other day that started, "I hope you had a nice summer?" He nearly cried. I nearly cried. But, then I remembered, I adore Autumn/Winter (I love saying Autumn/Winter instead of just Autumn because it sounds so dicky!) All the perfectly clichéd favourites spring to mind like fallen leaves, crisp mornings, hot chocolate and nights in. And of course, fabulous fashion. In this transitional period, kinda in-between seasons, one needs a transeasonal wardrobe, and I have found that in my new love affair with ridiculously oversized tees. Tees so long, my friends call them my nighties. They're bloody brill. 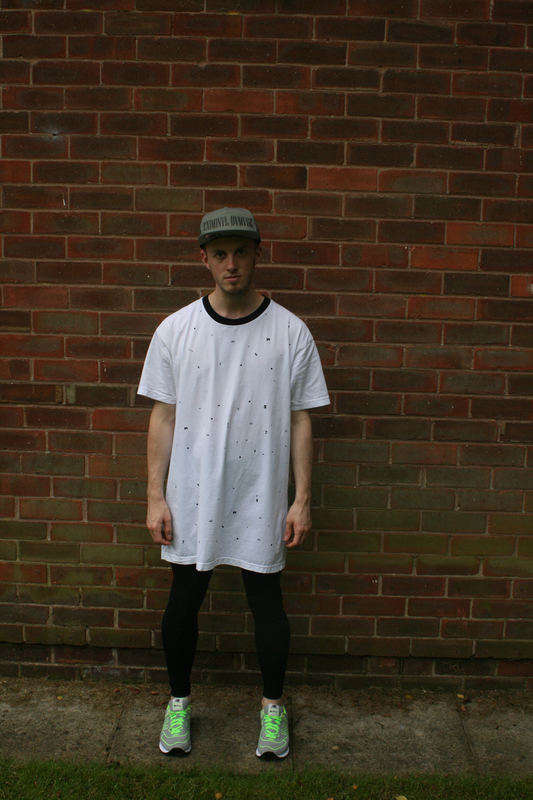 Picked this one up in the Harvey Nichols sale, it's an oversized style, but I got it in a XL anyway, for that added Hip-Hop flava. I wear it with meggings (read: leggings for men) and trainers. These trainers are an odd pair, they're made from a spongy material which makes them dead comfy. I love the neon flash too, always makes a statement. 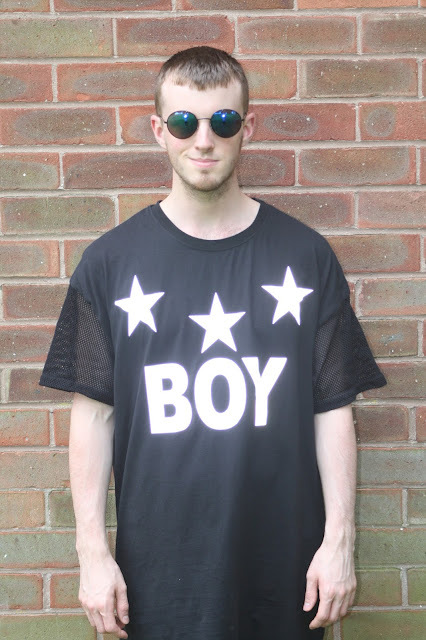 Then there's this beauty, a BOY London tee with mesh arms, another Harvey Nichols bargain. 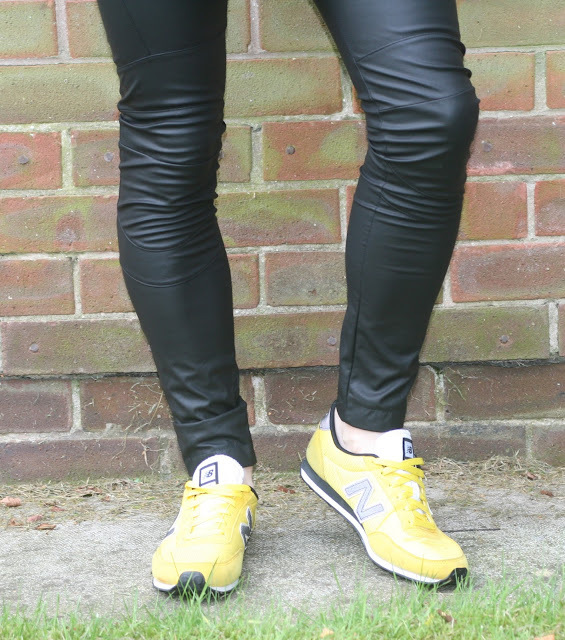 I love wearing this one with leather look leggings and trainers. Great for a transeasonal look, as it's airy enough for September humidity, but more covered than a summery vest. 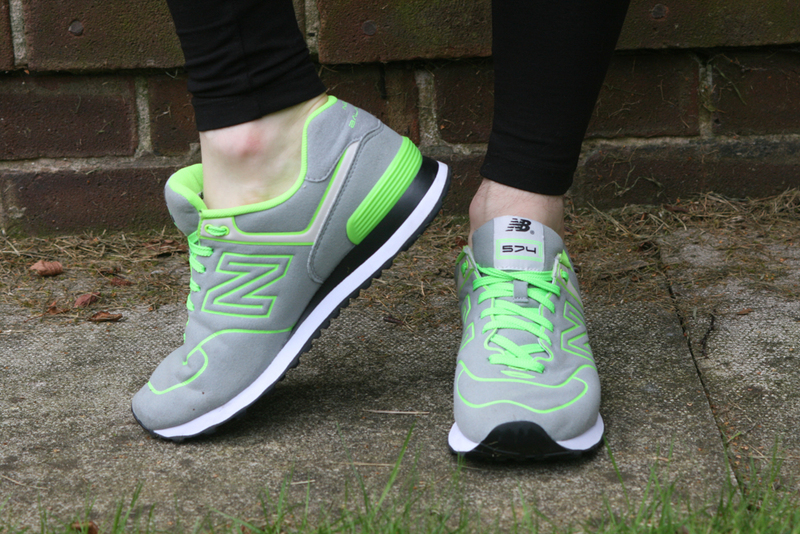 Another pair of neon New Balance trainers, in a bright yellow, a great accent to a dark outfit. Of course, if I'm truly rocking a 90s Hip-Hop kinda look, I'll need the wrist candy to go with it. 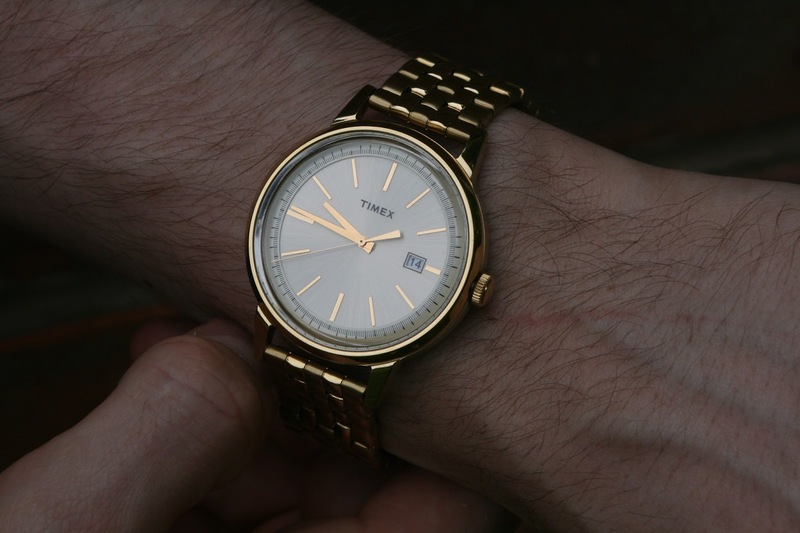 This time, it comes courtesy of Timex and their limited edition Retro UG0118. 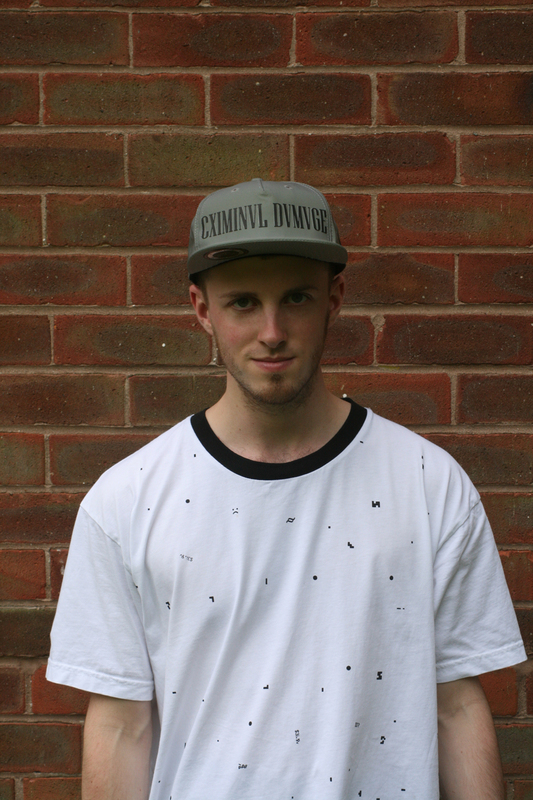 It's got that Grandad-hand-me-down feel and it's just a little bit of fun to add to a daytime outfit. It comes with detachable wrist straps too for a brown and black leather option.